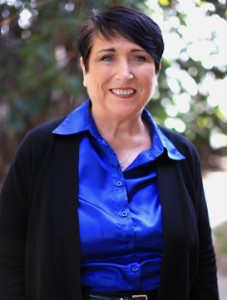 Lendy Holm is a Licensed Professional Counselor and works with individuals, couples, adolescents and adults coping with a variety of clients and mental health issues including Depression, Anxiety, Substance Abuse, Addiction, Grief, Anger Management, Trauma, Blended Family Issues, and Couples Counseling. She implements Evidenced Based Practices, such as Cognitive Behavioral Therapy, Reality Therapy, and Solution Focused Therapy. Lendy encourages goals and interventions that target current problems, better understanding of the sources and triggers, and how to change unhealthy cognitions and behaviors to healthier ones. Lendy recently relocated back home to Texas (2018) where she originally grew up and lived. She has experienced many life changes of her own, including living in 10 different states, as well as overseas. She understands how difficult change may be and that counseling is a powerful tool to help overcome life’s challenges. Lendy’s previous experience has been working with severe mental health issues including a grant targeting the chronically homeless with co-occurring disorders as well as counseling and coordination of treatment with the severely mentally ill at a community mental health center.